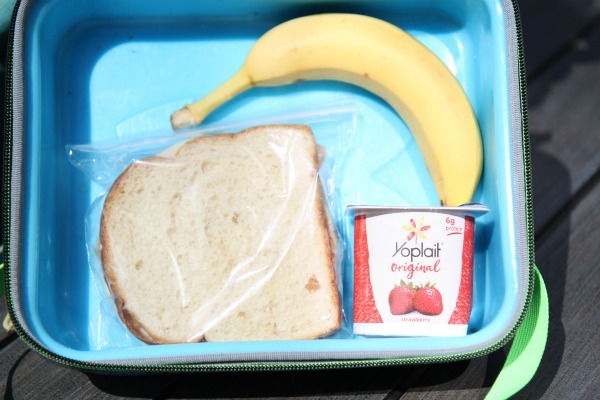 At the start of the year, most people are excited to start packing school lunches. It is fun to get to choose what you want to pack. Now that my kids are getting older, I had to show them how to pack their own lunches. I showed them all the shortcuts I have learned during my years of packing lunches. Check out these back to school lunch packing tips. It is a clear indication there is less time in the mornings than at night when it comes to school prep. Packing lunches should always be done the night before. My kids know this and they know this is the secret to a successful packed lunch. Mornings are always rushed and no one needs one more thing to do in the mornings. We have a problem in my house and that is the kids like to eat all the food before they pack it. I try and tell them that eating all the food, results in no food for packing lunches. I have a cabinet dedicated to food for lunches. If you have kids, you know how much they can eat and how quickly the food can go. It’s so easy to over pack for school lunches. Kids aren’t sure of how hungry they will be. We have a rule where they pack the “main course” and then pack 2-3 sides to go along with that. They also pack a water or a juice to go in their lunch boxes. This seems to be the perfect amount for the kids. If they get extra hungry after school, they pack a snack to eat right after school. 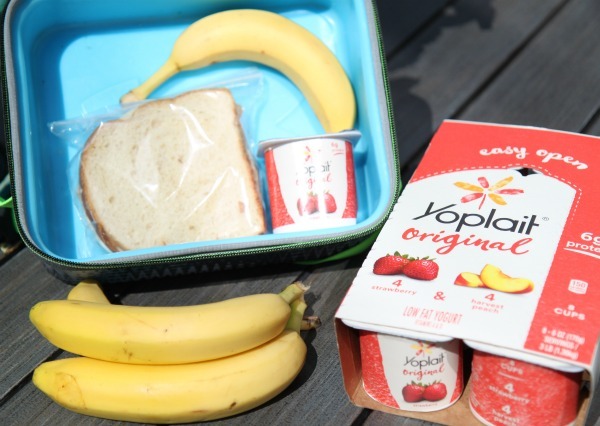 These Yoplait Multipacks from Walmart are perfect for back to school lunch packing. They are easy to fit in a lunch box and perfect for kids who are packing their own lunches. The yogurts have new packaging, which is just in time for the back to school season. You can pick these Yoplait Multipacks up from Walmart. These yogurts are tasty, smooth, and just what every kid needs to make their school day complete. 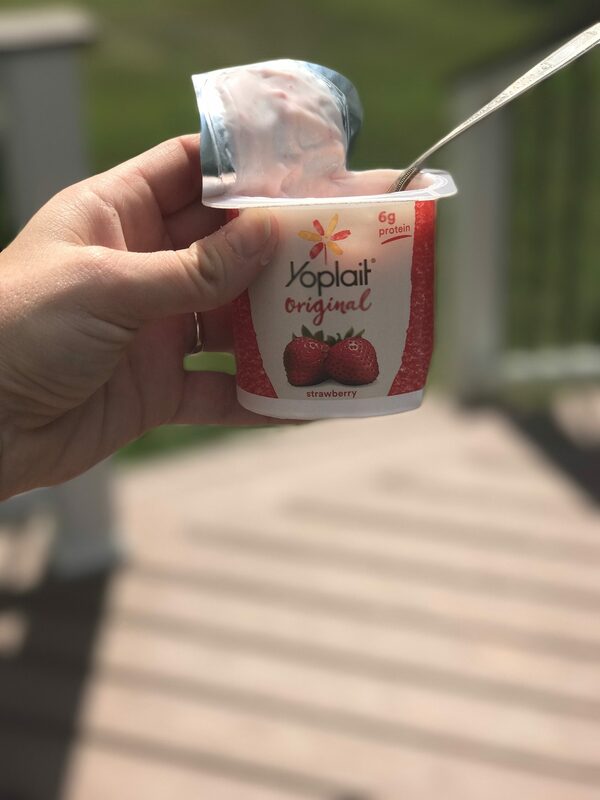 Here are some other reasons you may enjoy these yummy Yoplait yogurts. 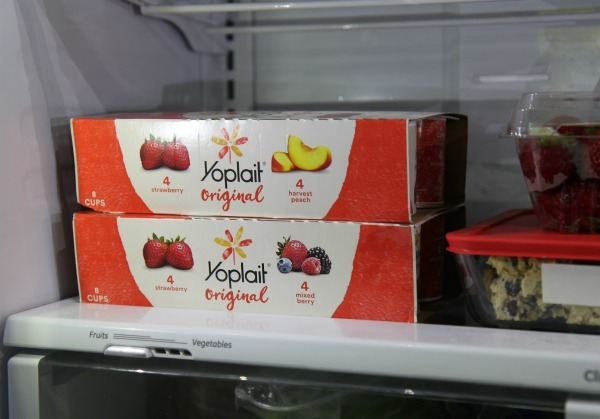 The new packaging makes it so easy to store and access the Yoplait Multipacks. How do you make back to school lunch packing easier? We pack the kids lunches the night before – it really does save some serious time. My kids love hot lunches so we make too much of their fave meals for dinner and use a thermos to send something comforting the next day. They love it. I save a lot by cooking meals for my kids’ school lunches instead of letting them buy ones in their pantry or going to fastfood chains. Like you, I prepare their meals before hand, usually at night so everything is set in the morning. Easy to pack them too in their bento boxes. I have heard of Yoplait Multipacks and will definitely get them these too! Even easier than making lunch boxes I’ve started making extra for dinner to be able to save some for lunch – just stick it in some tuppaware!